Learning management systems, or LMSs, are apps that you can use to build online courses, with quizzes, tests/exams, and the ability to include various materials like texts, videos, graphs/charts, etc. to aid in learning, with progress tracking and certificate functionality. They also tend to contain registration and student management functions, with hierarchical degrees of administrative access. A more collaborative version is sometimes referred to as an LCMS, or Learning Content Management System, which retains cumulative content for multiple usage as well. Our use of "LMS" refers to all variations. SciCloud.net®'s free Marketplace contains a great selection of various business, informatics and collaborative apps, including LMS apps. Your SciCloud.net® representative will help you choose the right components to create the ideal solution package for your specific needs, including an LMS if you need learning management capabilities. If you'd like more information about LMS Apps or you have questions about SciCloud.net® services and/or applications, contact sciCloud.net Support, search the Marketplace for qualified services or contact LabLynx at LabLynx Contact Us, or 770.859.1992 (toll-free at 800.585.5969). 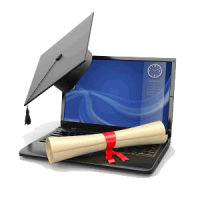 ↑ management system#LMS as the ubiquitous term "Learning management system". Wikipedia. 9 November, 2016. https://en.wikipedia.org/wiki/Learning management system#LMS as the ubiquitous term. Retrieved 10 November 2016.